Conveniently located in San Rafael in Escazú, this place offers lots of cute corners to have stylish selfies with your food. I tried the Almond Croissant with an Americano and I must say I was in bliss, the filling of almonds and honey was warm and sticky, the outer layers of croissant were crispy and golden. I liked this spot very much. They offer also smoothies and full meals in case you are more hungry or have special diets. This is a more urban coffee shop, you can get your cup of dark deliciousness and take it with you, Café Miel is a small space in Barrio Otoya & Barrio Escalante where you can find cakes and empanadas as well as coffee. My recommendation will be ANY of their special cold coffees and the mint cream brownies. Traditional french pastries in an old house in Rohrmoser, this place has wonderful french toasts, macaroons and coffee at a very low price with a good quiet environment. Also, if you go there you can take a walk around since the Rohrmoser boulevard is GORGEOUS this days with the blooming pink trees. Cool, contemporary and healthy option for anyone craving german baked goods. It’s one of the only places in Costa Rica where you can find pretzels, and they also serve fresh sandwiches and soups that have no comparison. 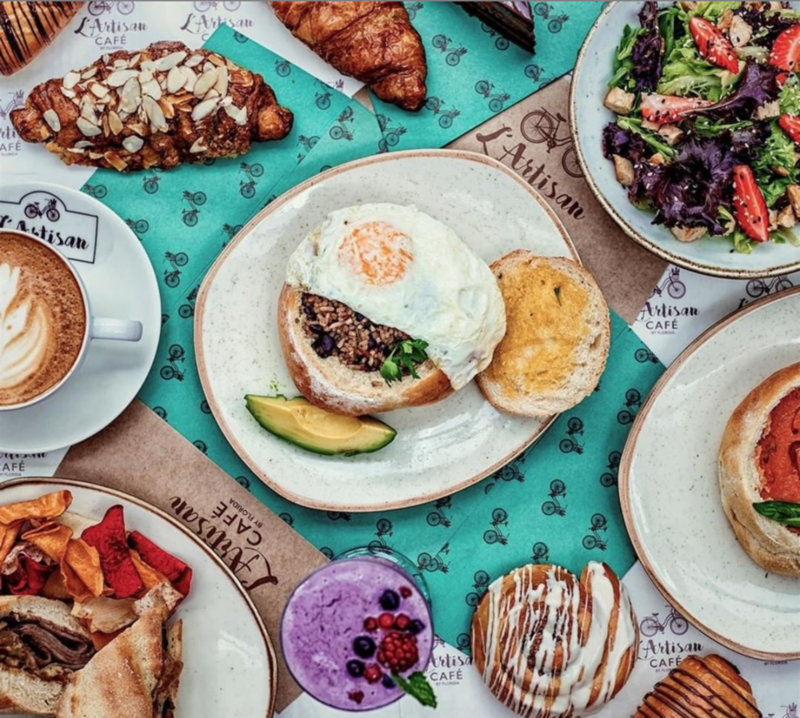 Also, brunch menú is so attractive you won’t be able to choose. Whenever I go there I feel the urge to order one of everything. Now from the list, this is my favorite. Everything is chosen with particular good taste, from the mugs, the floors, and every option in the menu. Actually I made a promise to not order the same thing every time, because I still haven’t tried something I don’t love.